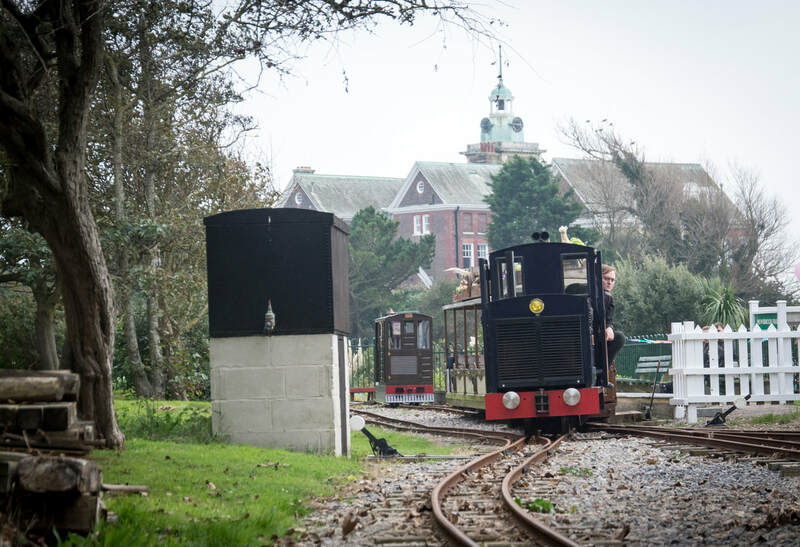 The Littlehampton Miniature Railway runs along the seafront between Norfolk Gardens and Mewsbrook Park. The railway is operated by the Littlehampton Heritage Railway Association (LHRA), in association with Arun District Council. The railway is staffed entirely by volunteers, who are all members of the LHRA. Littlehampton Heritage Railway Association is a registered charity - No. 1172852. Diesel electric loco 'Albert' departs Mewsbrook Park Station - photo by Melissa, Hastings Miniature Railway.